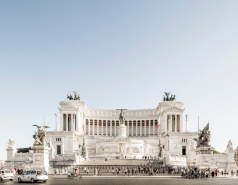 Rome is dressing up between the 26th of October and the 5th of November due to the arrival of the 12th edition of the Rome Film Fest (Festival Internazionale del Film di Roma). Everything is ready in the Italian Capital to welcome the attending film personalities and celebrities. One of the main stages of the festival is the Auditorium Parco della Musica. This is the place where the screenings take place and where the most awaited moment is located: the red carpet. Even if it is the main point of the ceremony, the events are located in different points of the city: screenings, master classes, tributes, retrospectives and other special ceremonies. From 2006, the festival’s inaugural year, it has featured films that are world premieres and it has counted with the attendance of actors and directors such as Martin Scorsese, Robert De Niro, Al Pacino and Meryl Streep. This edition will count with the visit of important personalities from different backgrounds who will share their career paths with the attendees on the main stage, the Auditorium Parco della Musica. Some of the speakers invited are Christoph Waltz (main character in Django Unchained), Jake Gyllenhaal (main character in Brokeback Mountain), Phil Jackson (former American professional basketball player) and many more. If you want to make the most and see a film star from close up, you can attend any of their talks. 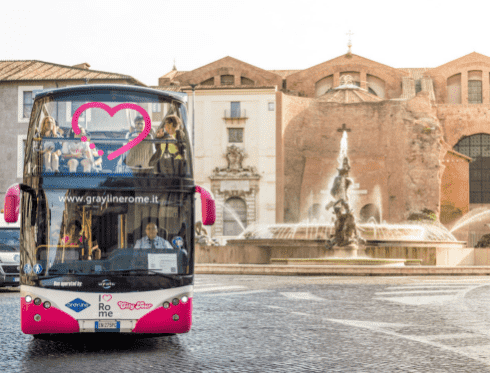 Furthermore, if you are in Rome during these dates, the official tourist bus of the city, Roma City Tour, will take you to do a panoramic visit around Rome with which you will be able to enjoy the hop-on hop-off service getting on and off our buses as many times as you like. 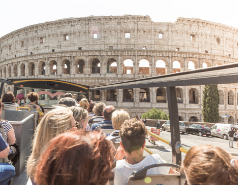 With this service, you will be able to see the most glamorous Rome and to discover the most emblematic points of interest of the city.